Do you like to read a good book, but you do not know which one to choose? You can stay calm because many people have the same problem. Due to the fact that we do not want to waste our time reading a book that does not fit us, it is increasingly difficult to make the right decision and sometimes this is draining our mental energy. In order to help you make a decision about the books you should read, we will present you a list of the top 6 best book of 2018 according to the readers’ feedback. The Line Becomes a River: Dispatches from the Border is a book that comes to prove that a wall cannot be the solution to a problem. The action of the book highlights the horrors that the immigrant Mexicans face when trying to cross the border in America. Francisco Cantú analyzed the situation as a border patrol agent and also a person with Mexican roots. The first part of the book describes Cantú and his border patrol partners in their attempt to identify those who are trying to cross the border in a fraudulent manner. In the second part of the book, Cantú is transferred to a new division and begins to ask himself questions about the morality of the profession he practices by using a lucid introspection. The immigrants’ problem is viewed from two angles: the brutality of the patrol agents who treat the immigrants in an inhuman manner, but also the activity of the gangs from Mexico which made the fraudulent crossing of the border a real source of making money. In their attempt to have a better life, simple Mexican families end up being exploited by Mexican gang leaders and then haunted by the border patrol team. Through this book, Cantú tries to exonerate the contribution he had on the border patrol team and also tries to redeem his mistakes. 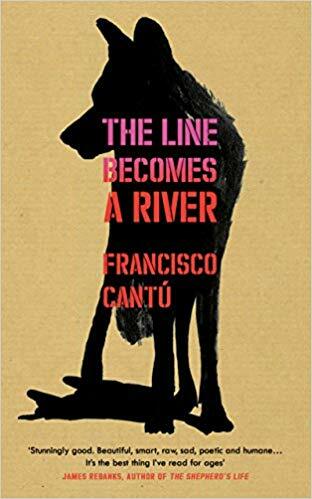 If you’re interested in reading The Line Becomes a River, then go ahead and order it from Amazon.co.uk now! In the center of the novel’s story are two Indian girls Poornima and Savitha who come from very poor environments and who struggle to have normal lives. Both girls have families with big financial problems who cannot offer them too many alternatives. Savitha’s family is so poor that she and her other siblings search through garbage in order to find different objects that can be sold. The two girls are rapidly developing a solid friendship that later turns into love. 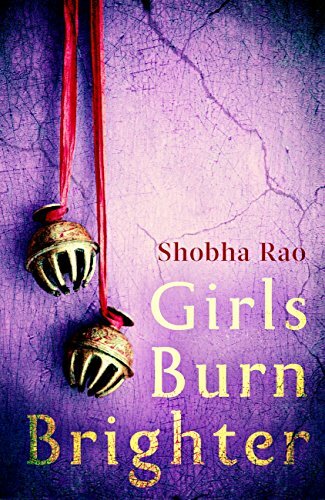 The lives of the young Indian girls will take a dramatic and unexpected turn when Savitha is raped and she leaves the village, and Poornima gets married to a man whose family treats her in a wild way. In the girls’ soul, the hope that they will meet each other again remains alive. The destiny takes girls from India to the US where they are exposed to prostitution, human trafficking and modern slavery. Through this book, Rao, makes an analysis of an environment where poverty is predominant and succeeds in highlighting the deepest dramas of members from that community. The episodes of torture to which Savitha and Poornima are exposed to are reported with a gruesome accuracy by the author and due to this fact the book becomes more original. If the Girls Burn Brighter book has sparked your interest, make an order over on Amazon.co.uk today! A.J. Finn has a positive background because he has worked for many popular publications and this can be one of the reasons why “The Woman in the Window” is attractive to readers. This book proves that things are not always what they seem at first sight, presenting the teenager, Ethan Russell, who develops a friendly relationship with Anna Fox, a woman who is suffering from agoraphobia. When Anna claims to have witnessed a crime, the police do not believe it and think that all of this is due to the fact that she is drinking alcohol and taking medication for her illness. Before the Russell family moved to the neighborhood, Anna’s life was at a normal pace and nothing could have predicted what was going to happen. When Anna says that something strange is happening in the Russell family, everyone thinks she has hallucinations caused by the mix of alcohol and medicines. The most interesting aspect of the book is that although the main character claims to have witnessed a crime, no one thinks she tells the truth. One of the most suspenseful moments presents Anna, who thinks about suicide, but she finds a proof that convinces her everything was not just a hallucination. The book can also be seen as a realistic description of depression with all its specific features. “The Woman in the Window” is a psychological novel that holds you in suspense because of its originality. 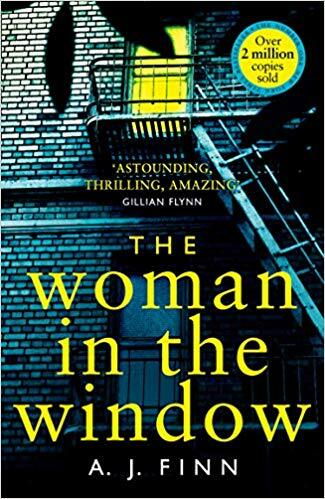 The Woman in the Window is truly a thrilling read and if you want to become one of the many who experienced it, go ahead and order the book from Amazon.co.uk now! “The Feather Thief “places the action in 2009 when Edwin Rist, a twenty-year-old flautist vanishes out into the darkness with hundreds of bird skins that were exposed in the Tring museum. An important aspect the readers should know is that the Victorian art of salmon fly-tying was Edwin’s passion and this fact triggered his urge to steal the bird skins. The collection had been made by one of Darwin’s contemporaries, which made it even more valuable. This book and its plot makes you read more and more in order to see how the events will be developed. Kirk Wallace became fascinated by this story when he had heard it from his fly-fishing instructor. His curiosity was to find out how the mind of a person capable of such a strange action worked. This book shows how an obsession can make a person react in different ways. After being caught by the police, Rist tries to form his defense by arguing that he suffers from the Asperger’s syndrome, a fact that makes him not know what’s right and what’s wrong. One of the most interesting parts of the book shows Johnson in his attempt to find Rist and his group of buyers. 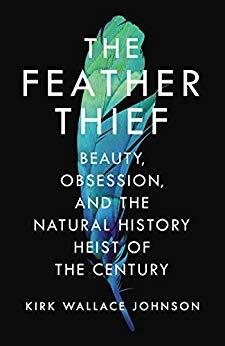 “The Feather Thief “ and its unusual plot managed to become one of the most interesting books in 2018. If you want to read the full “The Feather Thief” book, all you have to do is order it online from Amazon.co.uk now and start enjoying the read. The action is placed in 1974 when Ernt, the father of Leni Allbright, decides to move with his family to Alaska. This unpredictable decision is made after Ernt loses another job and believes relocation is the most appropriate solution. Alaska completely changes the life of the family that is now forced to get used to the wilderness of the surroundings and to change their perception about real life. Ernt’s mental health is beginning to get worse and the family has to deal with the dangers. To get rid of the violent and unstable Ernt, Leni and Cora decide to run away, but they have a car accident that does not make it possible. 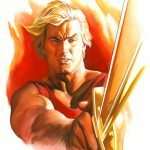 The action of the book is a story about survival and endurance through the complex characters who react in a unique manner. 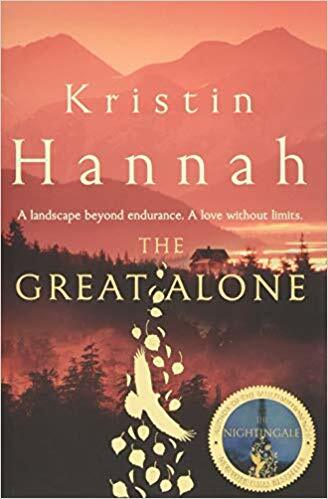 Kristin Hannah succeeds in highlighting the human capability to survive in any circumstance, as well as female resistance. This book represents the life and all the obstacles the human being has to overcome and another strong aspect of the book “The Great Alone” is that it depicts the heroic features of ordinary people. The Great Alone is among the most interesting reads of 2018, so if you want to read it too, order the book from Amazon.co.uk right away! 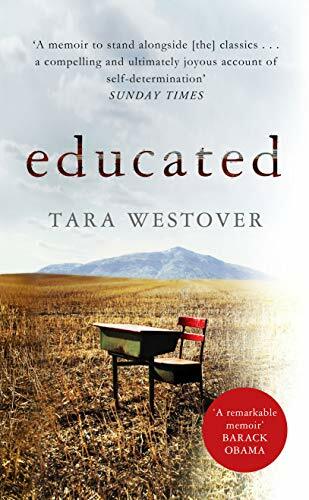 The author, Tara Westover tells us that her first interaction with school took place at the age of 17 and this changed the path of her life. This autobiography highlights how she integrated herself into the educational system and how she managed to discover a new world, apart from what she knew. Tara had been raised to prepare herself for the end of the world, but at the age of 17 she decided it was time to make a change in her life. Due to the fact that her father did not trust the medical system, Tara used to find herbal remedies for the various health problems she had. Tara’s family was isolated from the rest of civilization, and nobody cared about the children’s education. Tara decided it was time for her life to go in another direction when her older brother shared her stories about a different world. The young Tara goes through difficult moments because one of her brothers repeatedly beats her and accuses her of being a whore because she had a friendly relationship with a boy from the local community. Tara Westover manages through this book to describe her life in a Mormons’ family who lived under drastic rules and was sure that the end of the world is about to come. Many people consider “Educated” to be one of the best books of 2018 so far, so don’t miss your opportunity to read it right now! Order “Educated” from Amazon.co.uk! Reading offers a great experience that cannot be compared to anything else. Lately, the number of readers has begun to decrease. Only by reading can we broaden our horizons and get in touch with new worlds and information that we cannot extract from any other sources. Although the evolution of technology has many positive aspects, the relationship between humans and books cannot be separated so easily. The best known benefits of reading are: it develops brain capacity, improves memory and helps relieve stress. Although everyone is pressed by time, we recommend that you enjoy the benefits of a good book and we hope that this list of the best books in 2018 has helped you!